Notes: A tropical species which is now added to the British list after moths were bred from tenanted mines on Lemon trees from a Garden centre in Burford. 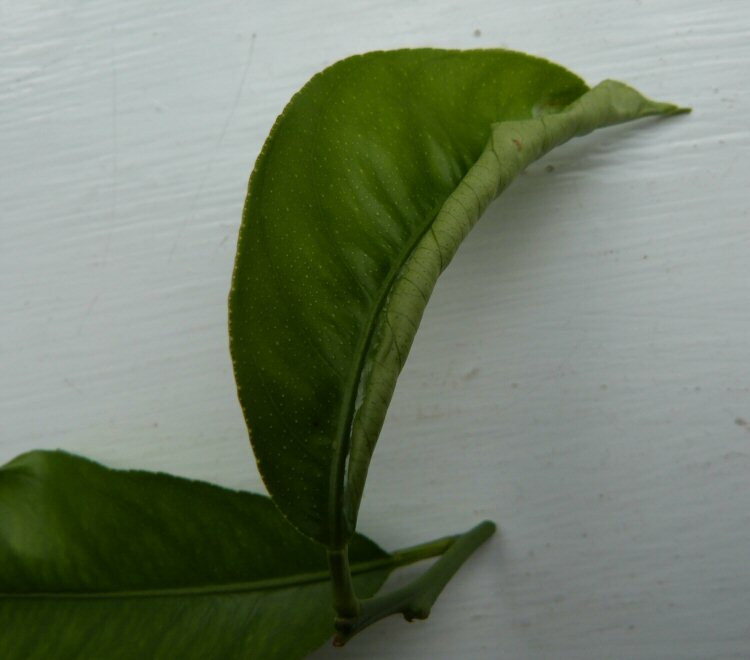 A distorted Citrus leaf caused by the presence of two mines is (shown above. The picture was taken after both adults emerged. Most specimens are intercepted at points of entry (see: Newsletter) and this is a pest of commercial citrus orchards. Makes distinctive track mines with a strong central frass line on fruits or leaves.